All you have to do is look at the weekly oil and gas rig reports to know that nearly half of all the drilling in the U.S. in the past year has been in the Permian Basin in west Texas and southeast New Mexico. It showed gains even when there was a market downturn. And it kept Texas as the Number one oil producer in the country. “Although overall U.S. oil production has been declining since mid-2015, production has continued to increase in the Permian region,” read a recent forecast from the EIA. The report indicated that production in the Permian last year was up 5 percent over the 2015 levels. The government predicts the basin production is on track to grow by 15 percent this year. 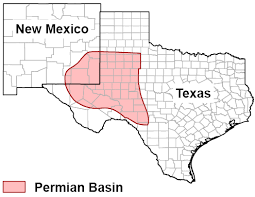 The Eagle Ford shale play in south Texas used to be a hot spot for oil and gas drilling. But its production is declining along with exploration by energy companies. The number of wells in the Eagle Ford have been declining since early 2015.